Designed as a lightweight women’s backcountry powerhouse, the MyTransalp ski is the quintessential do-it-all ski that’s confident here, there, anywhere, and everywhere. It’s built with an Aeroshape top-sheet which is curved to save material weight, but it also coaxes snow to slide off and further reduce weight in the field, meaning you arrive at the top fresher than ever. The lightweight Paulownia wood core used in the MyTransalp is the material of choice for backcountry skis when weight is a priority. However, it’s evident when you point them down the fall-line that being a lightweight climber wasn’t the exclusive priority when designing these skis. 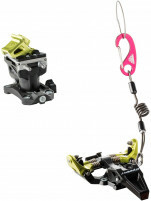 The wide tip and generous rocker ensure maximum flotation in soft or choppy snow, while a torsion resistant base and properly tuned sidecut means it will still rail turns on hard-pack. Fischer snuck in a micro-sidewall underfoot to further increase edge hold, durability, and vibration dampening, all while keeping weight to a minimum. Looking for an all-around ski that specializes in having fun? Look no further, the MyTransalp ski can do it all. At 88mm wide it’s the perfect size for skiers who like to do it all. Paulownia Wood Core is light and fast. Air Tec channels are cut-outs running lengthwise within the ski to decrease weight without losing lateral stability. Aeroshape design is a unique parabolic shaped top sheet and original Fischer innovation that saves weight, both on the scale and in the field. Titanium reinforcements in the binding area can be drilled, re-drilled, and still hold up. Micro-sidewall underfoot increases edge hold on icy snow and durability for impacts. I'm trying to decide between these and the Black Diamond Helio 88. I'm transitioning to more backcountry after a season of resort uphilling and skimo racing on the Voile WSGs. I've taken the WSGs on a tame tour but now am itching to have a more versatile ski. I'm an intermediate skier, not looking to do anything super aggressive. 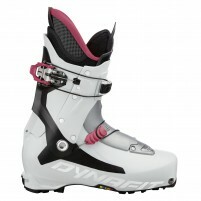 Would like to stick with the Dynafit Superlite 2.0 bindings and SpeedFit boots I've been using for the time being. Oh, and am 5'5"/130lb, so planning to go with the 155s on the Fischers or 158s on the Helios. Thoughts? Hey Madeline! Both skis on the table at this point are fantastic options. 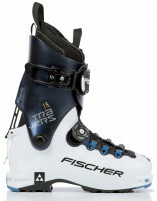 I think just based on what you have said about the skis you're on and how you like to ski, the Fischer is probably the better option for you.